‘Every bookshop is a condensed version of the world’, says the Spanish writer Jorge Carrion. 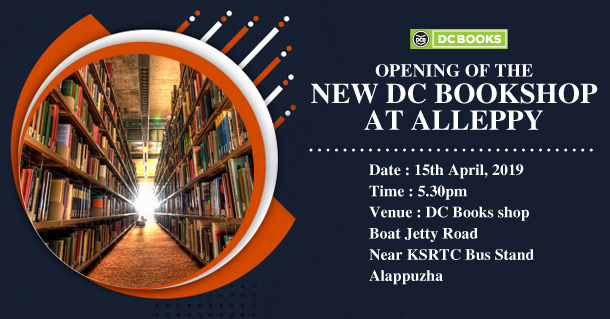 DC Books is expanding your world of reading in the Venice of the East with their brand new shop in Alappuzha. The book store will be inaugurated on Monday the 15th of April 2019 by Shri. Vayalar Sarath Chandra Varma with the key presence of Joseph Annamkutty Jose. All are invited to the ceremony on the auspicious day of Vishu at 5:30 pm at the DC Book store near KSRTC bus stand Alappuzha. While you delve into oeuvres of writers, we present you with an exclusive inaugural offer of a twenty percent discount for every purchase worth INR 500.